Get up close and personal! 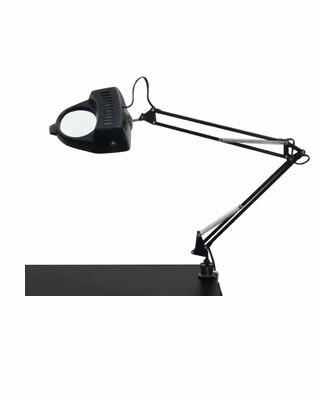 With its 3-diopter glass lens and flexible arm, this magnifying lamp is the perfect tool for enlargement and inspection of objects. Easy to use and extremely versatile, it’s a go-to tool for everyone from drafters and collectors to jewelry-makers and painters. This professional-grade lamp features tension control knobs and a spring-loaded, flexible arm, which easily extends up to 36 inches.